For every wedding outfit the accessories are indispensable elements, because they make the style chosen for the occasion more personal. Jewellery, rhinestones and flowers in the hair embellish the bride; braces and twins of the most disparate forms are worn by the groom for a less traditional look. There is an accessory, though, that we all wear in our daily activities: sunglasses. Here opens the great question of the summer season: Are sunglasses at a wedding really elegant? 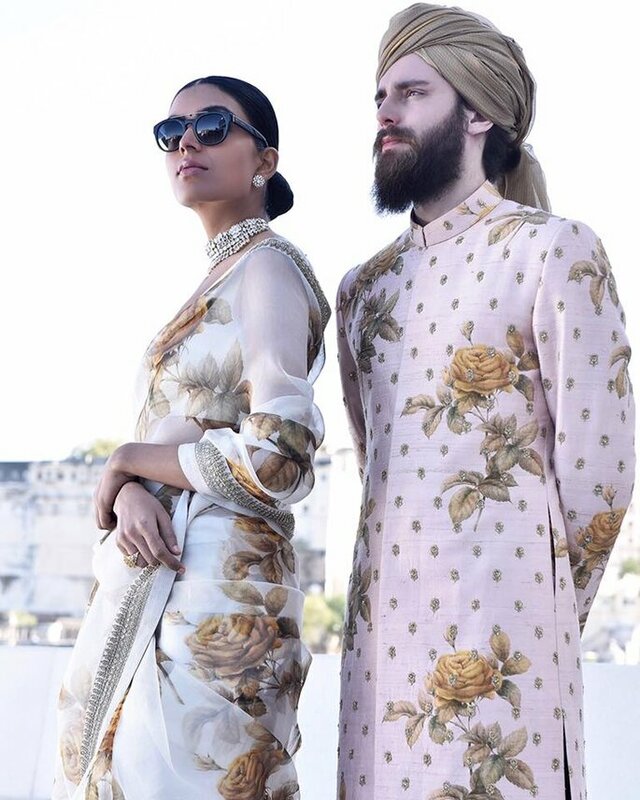 Many people are so used to wearing them over the course of the year that maybe they would not be able to give them up on the wedding day – especially with the scorching 40 degrees experienced in India. The widespread opinion is that sunglasses at a wedding are not very elegant, yet they tinkle with the imagination of many. Whilst most weddings do in fact take place during winter months of November to December, wearing sunglasses is still an option, for style more so as opposed to protection from the sun. Who doesn’t love a touch of Rayban, Chanel and Prada to their glamourous outfits, right? Alternatively It is common amongst bridal couples to have a bit of fun and use them as an accessory feature during their photoshoots or generally when taking pictures, since the idea of serious photos are becoming more and more uncommon. Couples like to take slip pictures, capturing the true moment as opposed to purposely posing for the picture. 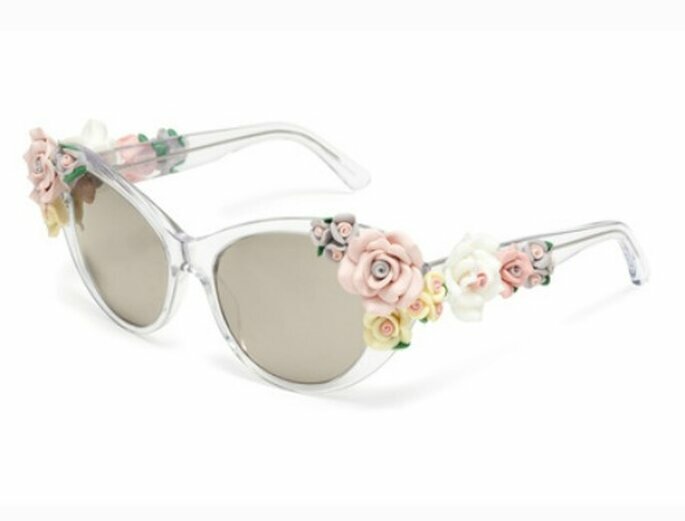 Sunglasses are the favorite accessories from women who love the vintange style : in the bridal outfit the large, round 50s / 60s lenses are a must. Brides and Witnesses Have Fun Photoing With Glasses , Since Now Those Serious Photos Of A Time Are No More Fashionable. In other words, sunglasses are loved by those who want to add a personal, trendy touch. However, almost everyone agrees: they only wear for a few clicks! We’ve all heard the famous kala chasma song, staring celebrities stars Katrina Kaif and Siddharth Malhotra right? So, why not prepare your sunglasses in preparation for the dance of to this years biggest hit. On the other hand however, some spouses do in fact say no to sunglasses! When you are not looking for something effect, wearing glasses is not considered the ultimate in elegance. Particularly for brides, the issue is about style but not just this: no woman would give up looking straight to her groom’s eyes. On the other hand, what is more romantic than looking directly into the eyes? You can not ruin everything with the glasses: they are not poetical at all. 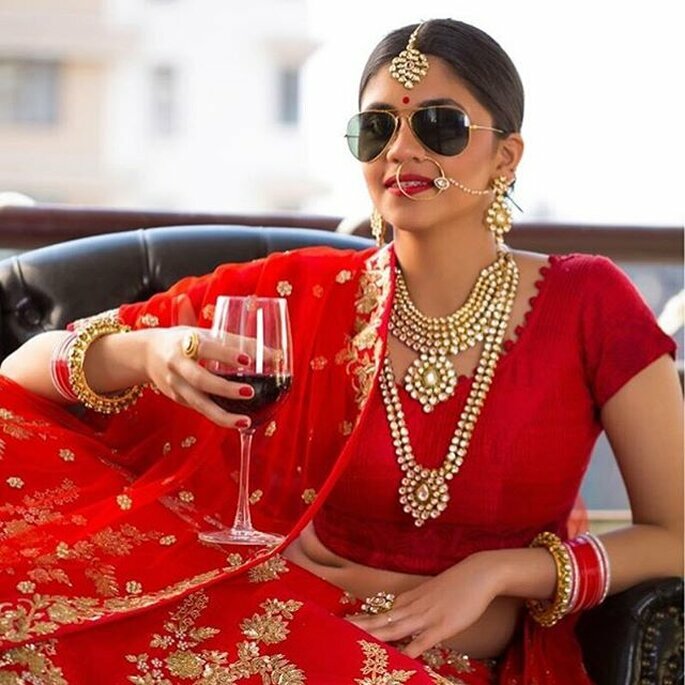 Brides also take a long time to choose the most up- to-date make-up for their wedding day, and they go to make-up professionals who, for the great occasion, also work for hours to make the bride even more beautiful: afterwards all of this, Who wants to hide behind a pair of glasses? The beauty of the gaze is never hidden , but always exalted! Just as the beauty of the gaze of this bride immortalized in the shooting by Morvi images , a professional photographer who made her profession a craft; Experience, discretion, and sensitivity are the characteristics of this artist who will follow you on your big day by realising a wedding reportage full of emotion. 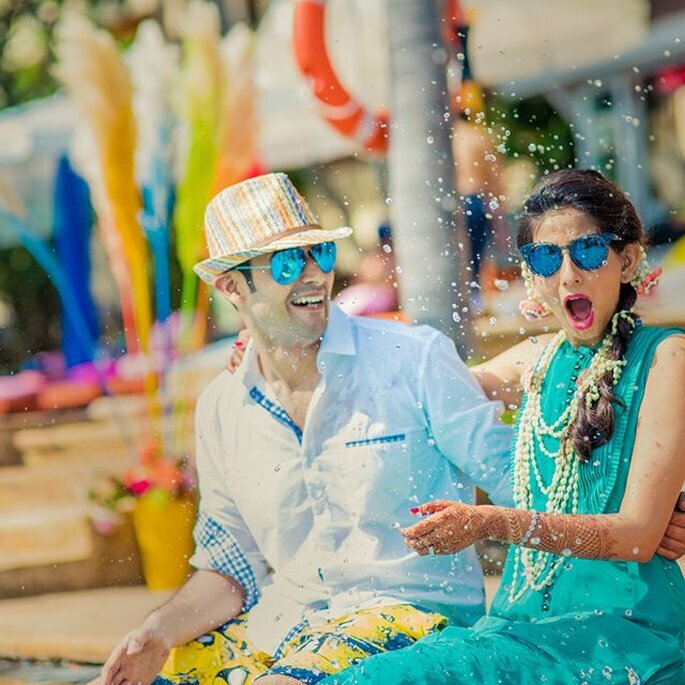 So, sunglasses at a wedding – yes or no? They are good for a few funny shots and to indulge in some eccentricity, however do not really scream elegance. The choice is yours, what will you do?